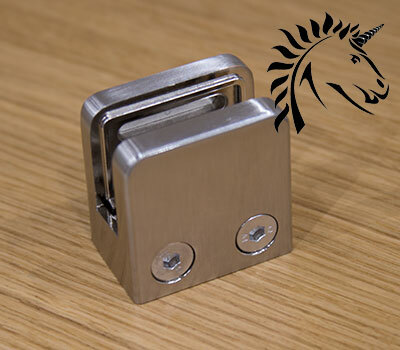 Stainless Steel Glass Clamps for 8mm Toughened Glass Balustrade Panels. Stairplan offer the S-Vision Glass Balustrade system and the New Vision glass balustrade system these use the SV-BRAC stainless steel glass clamps. 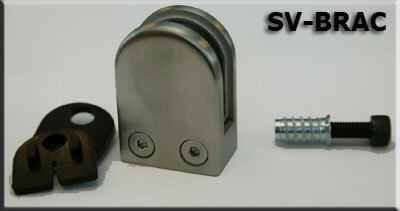 The Brackets are 304 Grade Stainless Steel for internal use. 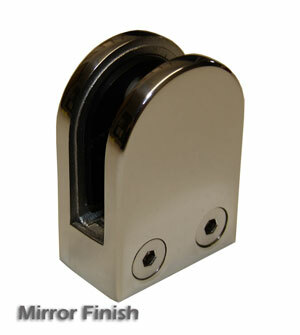 New SQ-BRAC Glass clamp low cost contemporary glass balustrade fixing bracket complete with fixings for timber.